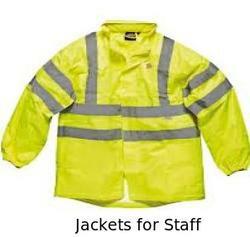 Prominent & Leading Exporter from New Delhi, we offer staff jackets, safety jacket, industrial jackets, industrial safety jackets, regular industrial jacket and industrial signal jackets. 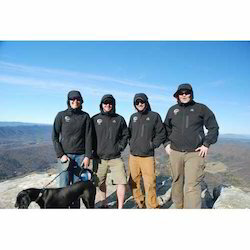 We are paramount firm engaged in offering Staff Jackets. 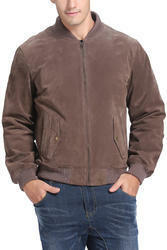 Our offered jackets are made of high grade fabric materials to provide tolerance against extreme cold. Designed by creative team of craftsmen and designers, this entire series is developed as per prevailing trends in fashion market. Moreover, it is available with us in a variety of colors and designs. 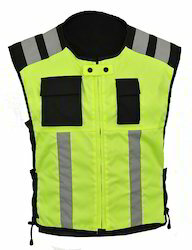 Made available in the market at the best rate possible, the offered Safety Jacket is highly acclaimed and asked for in the market. The product is widely acclaimed for its perfect fitting and the level of comfort and warmth it provides. For reasons of quality standardization, its making is done in compliance with the industry set norms and guidelines, utilizing the finest wool available to us. "KDR Woollen Industries", established in the year 1961, is known to be one of the leading manufacturers, suppliers and exporters of this commendable range of Woolen Garments and Yarns. The range consisting of Uniform Sweater, Woollen Jacket and Woolen Pullover, Plastic Rain Suit has a high preference in the market. Manufacturing of these done in accordance with the industry set norms and guidelines, using the finest fabric, wool and modern machines, highly standardizes the products. In addition, the offered range is widely asked for, owing to its reasonable pricing. "KDR Woollen Industries", established in the year 1961, is known to be one of the leading manufacturers, suppliers and exporters of this commendable range of Woolen Garments and Yarns. The range consisting of Uniform Sweater, Woollen Jacket and Woolen Pullover, Regular Industrial Jacket has a high preference in the market. Manufacturing of these done in accordance with the industry set norms and guidelines, using the finest fabric, wool and modern machines, highly standardizes the products. In addition, the offered range is widely asked for, owing to its reasonable pricing. "KDR Woollen Industries", established in the year 1961, is known to be one of the leading manufacturers, suppliers and exporters of this commendable range of Woolen Garments and Yarns. The range consisting of Uniform Sweater, Woollen Jacket and Woolen Pullover, Industrial Jackets has a high preference in the market. Manufacturing of these done in accordance with the industry set norms and guidelines, using the finest fabric, wool and modern machines, highly standardizes the products. In addition, the offered range is widely asked for, owing to its reasonable pricing. "KDR Woollen Industries", established in the year 1961, is known to be one of the leading manufacturers, suppliers and exporters of this commendable range of Woolen Garments and Yarns. The range consisting of Uniform Sweater, Woollen Jacket and Woolen Pullover, Industrial Safety Jackets has a high preference in the market. Manufacturing of these done in accordance with the industry set norms and guidelines, using the finest fabric, wool and modern machines, highly standardizes the products. In addition, the offered range is widely asked for, owing to its reasonable pricing. Looking for Industrial Jackets ?